Our FAQ pages offer everything there is to know about travel in Alberta and BC. But that doesn’t mean to say we might have missed something. So if you don’t find the answer to a specific question, give Chris or Gord a call and we will do everything we can to help. The spectacular courses of western Canada are a golfer’s paradise with legendary courses, stunning natural beauty, easy access and warm Canadian hospitality. Our carefully chosen courses all provide quality facilities, services and value. Calgary and Vancouver International Airports are served by direct flights from most major cities in the U.S., Europe and Asia. Canada has an excellent highway system, with distances and speed limits clearly posted on highway signs in metric (k/hr). Drivers’ licenses from the United States or from other countries, are valid in Canada. Seat belt use is mandatory. Relax and drive at a comfortable pace and you’ll be rewarded with wildlife viewings and simply stunning scenic vistas. The Canadian dollar and notes come in denominations of $5, $10, $20, $50, and $100; coins 1c, 5c, 10c, 25c, $1, and $2. Many retail stores, restaurants and other locations might accept American Dollars, we advise our guests to exchange funds into Canadian currency. Banking hours – Monday to Friday, 9.30 a.m. to 4:30 p.m., extended hours including weekends at many locations. Automated teller machines (ATMs) are open 24-hours daily. At ATMs displaying the Cirrus, Plus or Interac international banking network symbols, visitors can withdraw Canadian funds using their own personal automated banking cards or credit cards. The visitors’ bank sets the exchange rate. Most businesses will accept major credit cards and travelers checks for payment. Foreign exchange is available at city banks, major hotels, and numerous private foreign currency exchange offices located in tourist centers. The Bank of Canada website offers extensive currency conversion and foreign exchange information for travelers, investors and businesses. Tips or service charges are not usually added to a bill in restaurants in Western Canada. In general, tip approximately 15 to 20% of the bill amount based on service quality. $2 is normal for incidental tips such as luggage handlers or bellhops. If your Golf Canada’s West vacation qualifies for the Visitor Sales Tax Rebate, it will be credited on your confirmation of services form. Qualifying packages will be charged 50% of the GST and/or HST charged (subject to visitor’s country of residence and package inclusions). A 5% Federal Goods and Services Tax (GST) is charged on goods and services in Alberta and British Columbia. Western Canada offers a very hospitable climate for golfers – with long warm summer days, and mild spring and fall temperatures. The golfing season in the mountains runs from mid-May to mid-October. Naturally the weather is variable in such dramatic terrain so always pack your rain gear. On the milder West Coast, many courses in British Columbia are open year-round, with great golfing available from February to November. Our latitude means we enjoy daylight as late as 11pm during June and July. Average summer temperatures are in the high 20°s Celsius (70°s Fahrenheit). Humidity is low, especially in the mountains and it’s pleasant, warm and never extremely hot for summer golf in Western Canada. There are statutory and civic holidays in Canada. Generally, banks and some businesses remain closed. Theaters, restaurants, and corner grocery stores remain open for business as usual. In tourist centers, many of the shops remain open. Canadian hospital and medical services are excellent. We recommend that you carry travelers’ health insurance, however Canadian hospitals will not refuse treatment if you require care, regardless of financial status or health care coverage. All US motorists driving in to Canada should obtain a Canadian Non-Resident Inter-province Motor Vehicle Liability Insurance Card. This card is available only in the USA through United States insurance agents. All provinces in Canada require visiting motorists to produce evidence of financial responsibility should they be involved in an accident. Canada follows the international metric system. Temperature, distance, velocity and weights are in metric units. English and French are Canada’s two official languages. English is predominant in British Columbia and Alberta. Hotels, airline offices, restaurants, banks and shops in key tourist destinations have multilingual staff. Canada is the second largest country in the world and spans seven time zones. Vancouver and Whistler are in the same time zone as Los Angeles (Pacific Standard Time). The Canadian Rockies are in the same time zone as Denver (Mountain Standard Time). US citizens and visitors from most European countries do not require a Visitor Visa for entry to Canada. For Americans, a passport is now required for identification. Temporary residents of the U.S. must carry a passport and may also require a Visitor Visa depending on their citizenship. Western Canada is a safe and friendly country to travel in with children. Most of our hotels, resorts, attractions and restaurants offer special programs or menus for children to encourage family travel. Ask us for specific child friendly vacations. U.S. visitors entering Canada with children must show identification for each child establishing citizenship, a passport is now required for identification. A letter of permission is required from the parents of any child accompanying travelers who do not have legal custody of that child. Visitors from other countries should contact their nearest Canadian consulate or embassy to learn what documents are required. Contact information for Canadian embassies around the world can be found at the website: List of Canadian Government Offices Abroad. We recommend purchasing here in Canada. We do not recommend traveling to Western Canada with your pet. 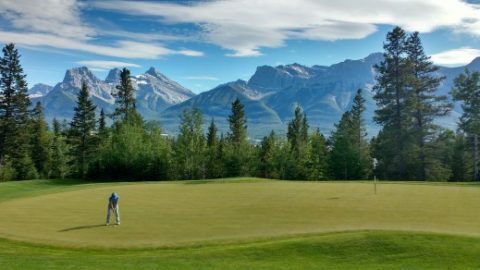 For those non-golfing days the Canadian Rockies, World Heritage Sites, Banff National Parks, Jasper National Park, Lake Louise, quaint towns and big nature provide plenty of vacation options. †Suggested links to online resources related web sites. 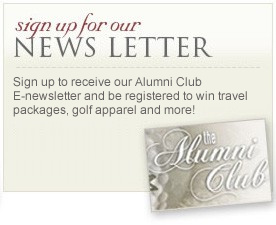 When you click on these links, you will be leaving the Golf Canada’s West site. Golf Canada’s West does not endorse these web sites and is not responsible for their accuracy. See Golf Canada's West website sitemap. To contact Gordon for his new email address, please fill in the form below. When do the courses open in spring?? Particularly Kananasis, Silver tip and stewart creek? Hello Richard, Thank you for your email. Kananaskis will open early May on the full 18 on Mt Lorette course. The Mt Kidd course will have 9 holes available from May with the hope of opening all 18 sometime in July. Silvertip, Stewart Creek and the Fairmont Banff Springs will likely set their opening dates around May 12th. 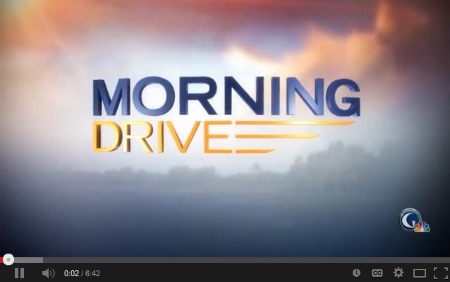 The Canmore Golf & Curling Club will set their opening date for May 1st. All potential opening dates are weather dependent. 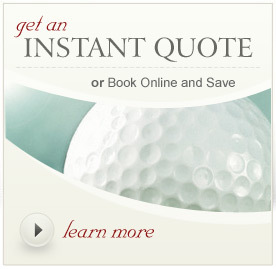 If you are looking for a golf package, please give us a call 1-877-323-3633.